Extended Employment Workshops - Canterbury Enterprises Inc. The term extended employment is used to describe a workplace where an individual chooses to work in a setting which the majority f the other employees have disabilities and/or are compensated at a rate approvd by Section 14c of the Fair Labor Standards Act. These individuals are encouraged to have a goal of competitive employment. Some use heir time at Canterbury to learn or increase their skills and move on to competitive employment while others make an informed choice to remain at Canterbury. Sheltered workshops first became known in America over a century ago as an outgrowth of special schools for the blind. In the early 1900s, society did not believe the graduates of these schools were fit to work. Upon graduation, most were refused employment, and graduates returned to schools looking for help. From that came the idea for sheltered workshops as a place of employment for those in society believed to be unemployable. By definition, a sheltered workshop is a state supported vocational program designed to provide work for people with disabilities. Sheltered workshops allow a person with a disability to earn a paycheck by performing a service. It gives them a sense of responsibility and a feeling of satisfaction to know they are working in a competitive service industry in jobs that are labor intensive, and contributing to society. It provides a healthy social atmosphere for many workers who would otherwise be confined to home. In Sedalia, Missouri, a campaign by the parent of a child with disabilities led to the passage of Senate Bill 52 in 1965, which established the first vocational program in Missouri. Missouri’s first sheltered workshop was established in Sedalia that same year. There are now 92 workshops in the state of Missouri, employing over 7,500 individuals with disabilities. Missouri workshops are different from those in other states in that their sales generally account for 70% to 80% of workshop revenue, with the remaining revenue received from government assistance and contributions. Therefore, Missouri workshops depend heavily on the revenue from contracted work to keep their doors open. Some Missouri business people erroneously believe that workshops can perform work for them at little or no cost at all. However, even though the employees’ wages are generally lower, the workshops don’t receive the same hourly production rate per person, and because of the need for increased supervision, overhead costs remain high. Some of the need for workshop labor has declined due to increases in automation and a general decrease in our country’s manufacturing. Much of the “unskilled piece work” has been outsourced to other countries, causing many sheltered workshops to struggle to stay alive. Some have even begun producing their own product lines and bidding on government contracts. 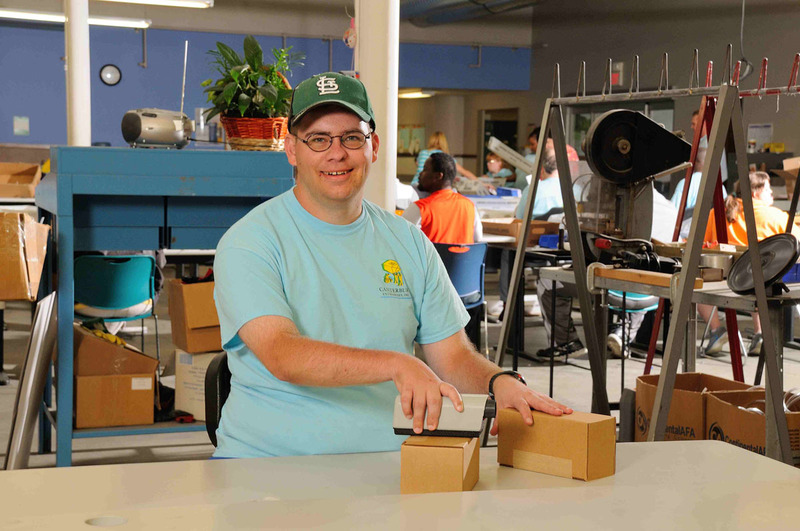 Sheltered workshops must continuously find ways to adapt to changes in work and the economy. New laws have helped over the years, and there are additional bills in action. Legislators are aware of the needs of sheltered workshops, however as with most bills, there will always be opponents.